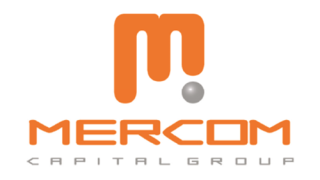 Mercom Capital Group, a global research and communications firm, released its annual report on funding and mergers and acquisition activity for the Healthcare Information Technology (HIT)/Digital Health sector in a record setting 2016. Mercom’s comprehensive report covers HIT deals of all sizes across the globe. Venture capital (VC) funding, including private equity and corporate venture capital, in the Healthcare IT sector came in at $5.1 billion in 622 deals in 2016, a new record for the sector. By comparison, $4.6 billion was raised in 2015 in 574 deals. Total corporate funding in Health IT companies—including debt and public market financing (plus IPOs)—came to $5.6 billion in 2016, a drop of 30 percent compared to $8 billion in 2015. Healthcare IT VC funding passed the $5 billion mark in 2016, recovering from a down year in 2015. Since 2010, the sector has received $18.5 billion in VC funding in 2,672 deals and almost $7.5 billion in debt and public market financing (including IPOs), bringing the total funding for the sector to $26 billion. Consumer-centric companies brought in about $3.5 billion in 437 deals in 2016, up from $3.1 billion in 403 deals in 2015. Practice-centric companies raised more than $1.6 billion in 185 deals in 2016, slightly up from the $1.5 billion raised in 171 deals in 2015. Top funded areas in 2016 included: mobile apps, which received almost $1.3 billion, wearable sensors with $592 million, data analytics with $574 million, telemedicine companies with $528 million, mobile wireless companies with $228 million, and wellness with $218 million. The top five VC funding rounds in 2016 were: Chinese company Ping An Good Doctor with $500 million, Chunyu Yisheng’s $183 million round, Flatiron Health’s $175 million raise, Jawbone’s $165 million, and Meet You with a $151 million round. A total of 1,115 investors (including accelerators/incubators) participated in VC funding rounds in healthcare IT companies in 2016, compared to 923 in 2015. The top VC investors in 2016 were Khosla Ventures, with seven deals, followed by GE Ventures, Social Capital, and BlueCross BlueShield Venture Partners, with six deals each. There were 83 accelerator and incubator deals in 2016, compared to 55 in 2015. A total of 35 countries saw Healthcare IT VC funding deals in 2016 compared to 27 in 2015. M&A transactions in the health IT sector in 2016 dropped slightly to 205, compared to 219 transactions in 2015. There were 21 companies that made multiple transactions in 2016. Six public companies were also acquired or merged in 2016. Mobile health apps were involved in the most M&A transactions in 2016 with 21, followed by data analytics companies with 19, practice management solutions with 16 transactions, and telemedicine companies with 12. In the last five years, 206 companies have made multiple acquisitions led by IMS Health with 12, and CompuGroup Medical and iMedX with 10 each, Quality Systems with nine, Emdeon and McKesson with eight each, and athenahealth, GE Healthcare, PracticeMax, and TELUS HEALTH with seven each. The top five disclosed M&A transactions in 2016 included: the $2.75 billion acquisition of MedAssets by Pamplona Capital Management, the $2.6 billion acquisition of Truven Health Analytics by IBM, the $2.35 billion acquisition of Press Ganey Associates by EQT Equity fund EQT VII (EQT), the $950 million acquisition of Netsmart Technologies by Allscripts & GI Partners, and the $820 million acquisition of Verisk Analytics' healthcare services business from Verisk Health (known today as Verscend) by Veritas Capital. Debt and public market financing for healthcare IT companies fell to $533 million in 18 deals in 2016, compared to $3.4 billion in 29 deals in 2015. There were four IPOs in 2016 raising a combined $234 million, compared to seven IPOs in 2015 bringing in $2.2 billion. NantHealth raised $91 million followed by Tabula Rasa HealthCare with $51.6 million, Oneview Healthcare with $46.5 million, and Senseonics with $45 million. Of the 30 digital health public companies Mercom tracks, only eight companies beat the S&P 500, compared to 15 in 2015 and about 60 percent of health IT public companies stocks were in negative territory in 2016.